Geely's patronage looks poised to finally kick in for the storied British marque. Like a child waiting for a birthday that just never comes, we've learned to take the notion of a completely new Lotus with a proverbial grain of salt or two. But the British automaker is giving us cause to be optimistic, however cautiously. At the Shanghai Auto Show on Tuesday, Lotus will reveal the "first details of an all-new road car” that we hope will actually be put into production and proudly uphold the company's established track record of producing some of the best-handling and most focused performance machinery ever to grace a ribbon of tarmac. Unfortunately the announcement didn't disclose any further details, except to note that it will be the first completely new Lotus in over a decade. That's when, in 2008, it rolled out the . Everything else it has made since 1996 has been based on the Elise. And as well as those two essential architectures have stood up to the ravages of time and the relentless march of progress, a completely new product is by now long overdue. Not that at Hethel haven't tried before, mind you – most notably under the leadership of Dany Bahar. The controversial executive famously revealed five new concepts at the 2010 Paris Motor Show and announced plans to put them all into production. But then-parent Proton quickly put a stop to Bahar's ambitious plans and showed him the door. 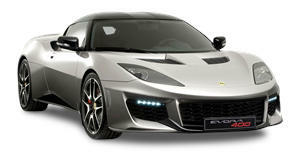 In the years since, Lotus has been said to be working on a , a , a , and a to replace its current lineup. With fresh capital from its , we could see (or at least be told about) the production version of any of those in Shanghai this week, alongside "an updated race car” also slated to be revealed. What's Wrong With The C7 Corvette?